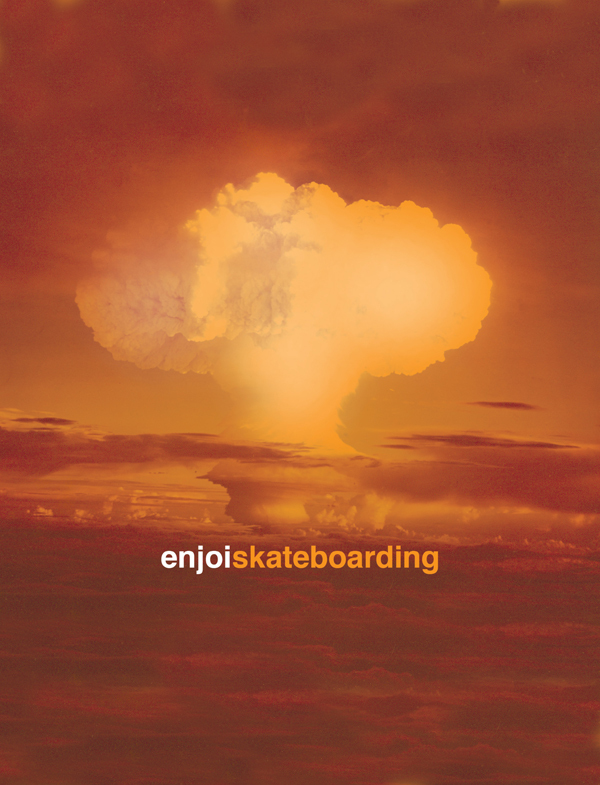 I was fortunate enough to be in charge of marketing campaign behind the enjoi print ads from 2002 to 2013. I conceptualized, designed, laid out and directed a few hundred plus ads. This was no easy task, but I really had fun with it because these fell in line with enjoi’s shockingly, wacky and humorous aesthetic. 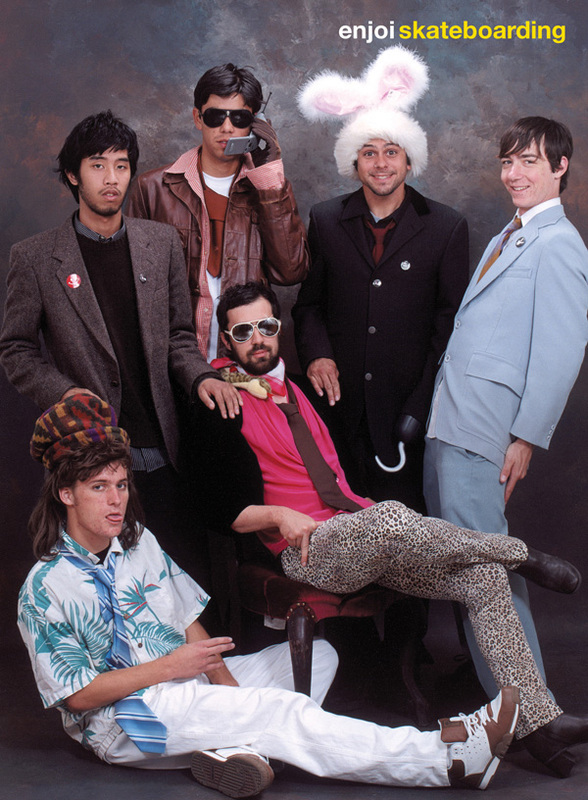 I got to work with all the enjoi skateboarding team riders and a lot of great photographers. I even shot a bunch of the ads myself. Here are my top twelve and the ideas behind them. Boy Genius – Poking fun at the blunders of English rider, Ben Reamers. 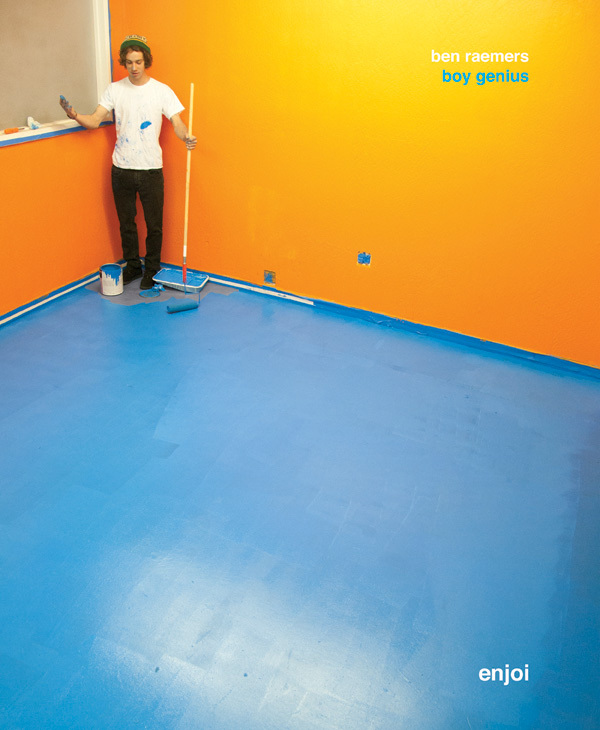 I got to paint the room and leave the corner untouched so it could appear that Ben painted himself into a corner. Jerry Hsu Predator ad – I actually made the cover for the SP magazine. Laid it out and printed it out, so the magazine was actually in the photo. jerry is a real pleasure to work with. A true professional. 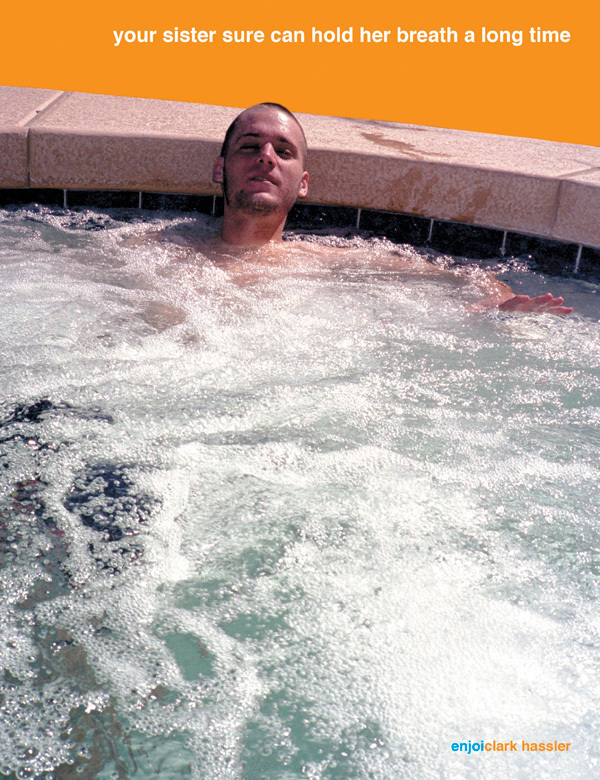 Your Favorite Company ad – This is a photo of ex-enjoi videographer, Chris Avery. The joke was playing on the overabundance of videos being made and how enjoi isn’t your favorite company. 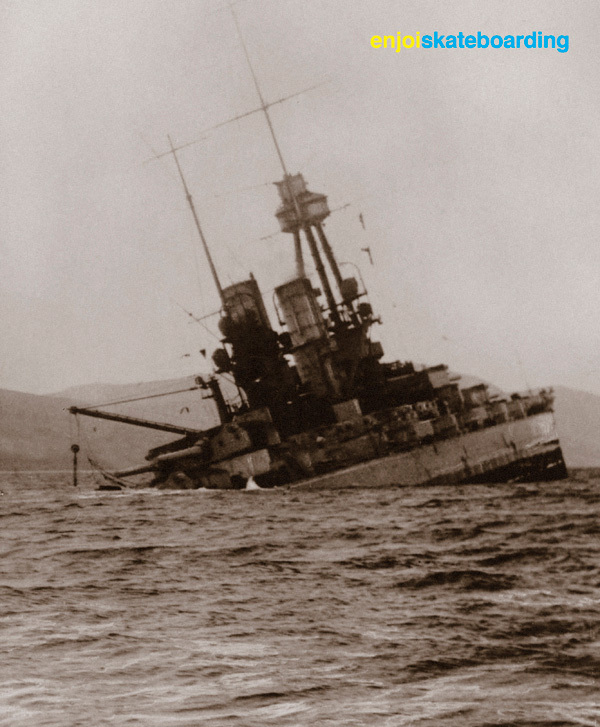 Sinking Ship ad – This ad was poking fun at the obvious blunders in upper management. 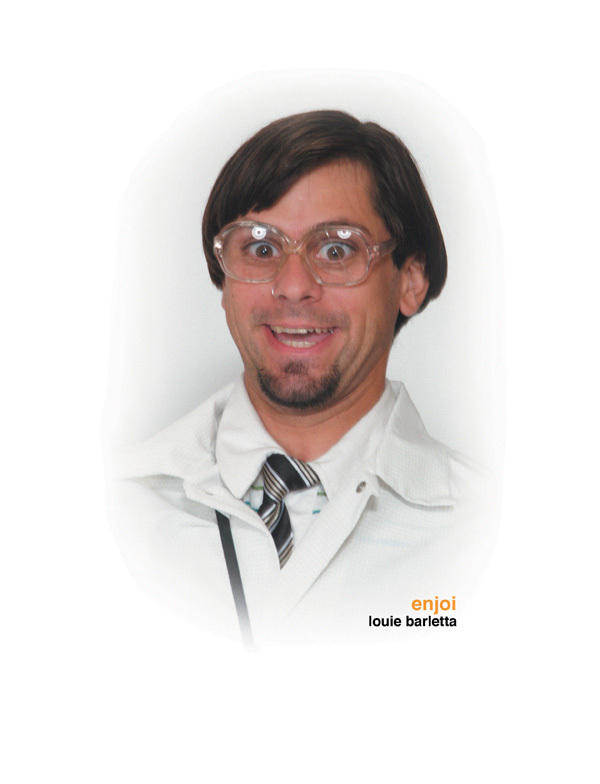 Louie ad – Louie loves being in front of the camera. He was always down to play “dress up” and be in the spot light. 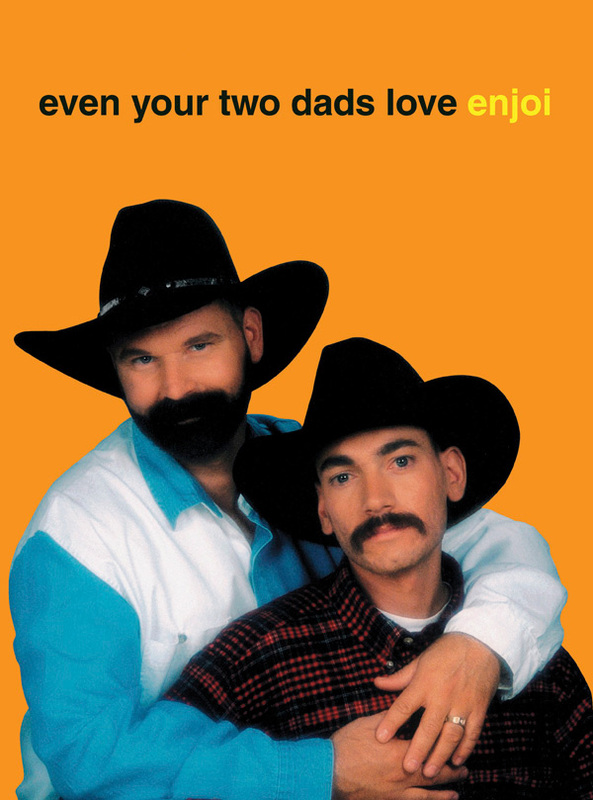 Two Dads ad – This is just a great photo of true friendship and love letting you know that anyone can get down with enjoi. Your Sister ad – The look on Clark’s face says it all. Team ad – This was a team shot from a field trip where I took the team to Sears for a “family” photo. The manager at Sears asked if they could feature the photo shoot as a “point of sale” in their store. Waterboarding ad – This ad came out during the controversy of water boarding being used as torture. This is professional athlete, Cairo Foster, actually getting water boarded by his team mates. Cairo did not want to shoot the photo a second time. Jerry Smoking ad – This ad was poking fun on the “truth” anti-smoking campaign being pushed into skateboard magazines. 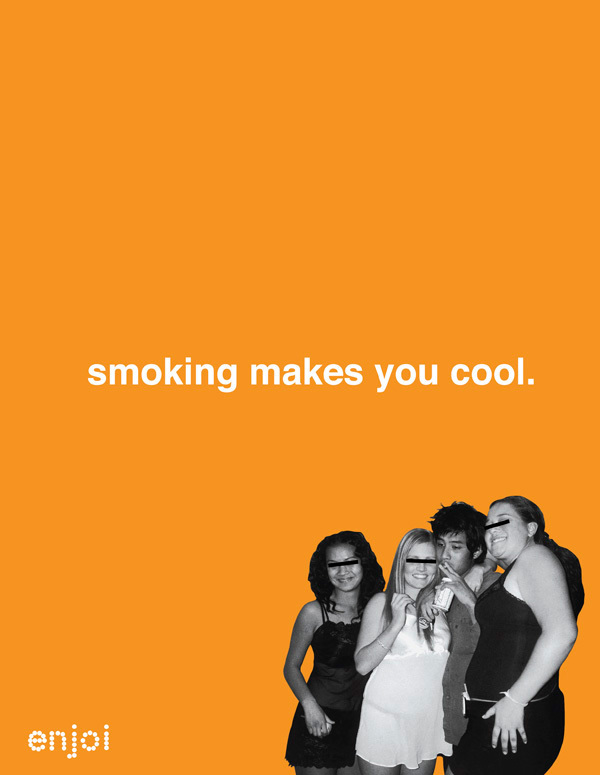 The campaign used the same color orange as the enjoi ads so we decided to take a jab at them (professional skater, Jerry Hsu, does not advocate the use of cigarettes even though he was a big time smoker at the time). A-bomb ad – This was poking fun of fact that the CEO was supposed to be fired but they brought in a “consultant” to be his silent boss instead. It’s good to make fun of yourself. Working for a publicly traded skateboard company was interesting to say the least. Rubskins ad – Having some fun with one of the perks of being a famous skateboarder. Nestor Judkins shows some skin. These ads were a bunch of fun to make and hold fond memories of working on projects with the enjoi team. Imagining the concepts and bringing them to light was one of my favorite things to do. Thanks to all the riders and photographers that contributed to making these happen.